Charming and witty, this superb children's musical captivates the heart through its memorable melodies and humorous dialogue creatively telling the story of Elijah. From his confrontation with Ahab and Jezebel through his journey in the desert, Elijah shows his faith in the God who provides. Concluding with one of the most dramatic moments in the Old Testament, Elijah asks God to send down fire upon the altar at Mt. Carmel. There, the people of Israel see the power of the true and living God. 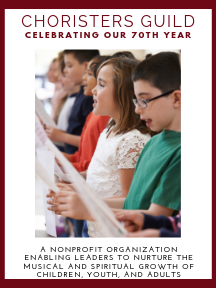 Vocal parts are specifically designed so any children's choir can perform them with success--especially unison choirs! Those choirs seeking a bit more challenge, however, will enjoy learning the optional voice parts found in several songs. A delightful dramatic narrative employs numerous roles for girls and boys as well as several non-speaking parts that can be easily performed by younger children. Works perfectly in any worship setting, music camp, or VBS format.